We want you to know that you belong here. If you're feeling apprehensive or unsure or insecure or wondering what-on-earth-did-I-just-get-myself-into? !—that is perfectly fine. Maybe you're here because you have words swirling in your head and you don't know what to do with them. 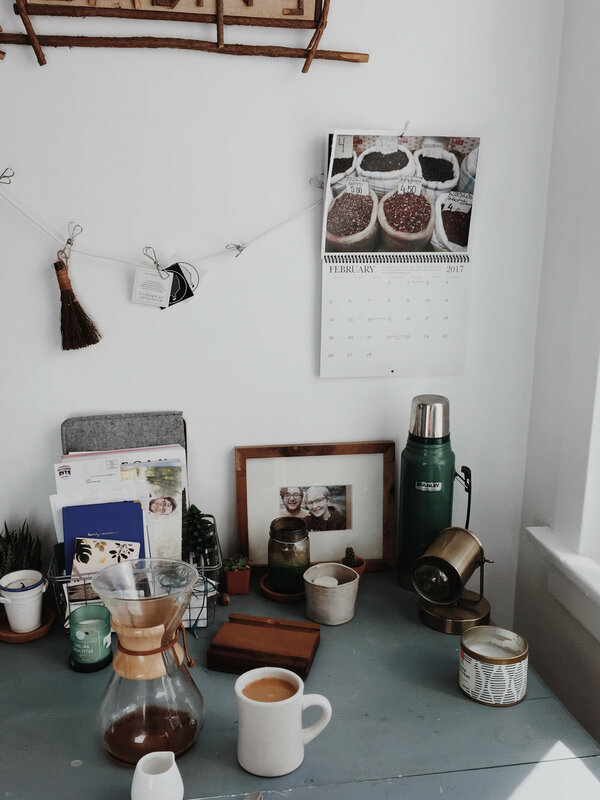 Maybe you've been bogged down with sleepless nights and monotonous days and are hoping this space will bring some much-desired creative energy into your life. Maybe you're here for self-care. Maybe you're here because you have an inkling of an idea in your heart that won't quit. Maybe you're here because you're lonely. Maybe you're here for all of those reasons and a few others that you can't even put into words. We want you to know that no matter what brought you here, we're so grateful for your presence. We're thankful you said "yes." The Exhale community is a group of women that is for you, not competing with you. We are committed to curating and maintaining a library of resources and material that is both current and relevant. We understand that when you purchase a membership, you are making an investment in your craft—in yourself—and we promise to do our part to make that investment worthwhile. Like most things in life, the Exhale program will be something that reflects the mantra "you get out of it what you put into it." We recommend you take some regular time each week or month to really dive into the material, to practice the discipline of tiny steps, and to involve yourself in the Facebook group when you can. It's so often in the connection with other creators that you find your own work taking on the new life you've been searching for. We also recommend taking advantage of the writing and topical workshops offered throughout the year. These small group workshops will give you the opportunity to interact in-depth with a facilitator and peer group on very specific creative goals and projects, and they may end up being the launching point of some of your very best work. Are you ready? We cannot wait to see what you do with your gifts. Head to the creative library to get started! And don't forget to join our private Facebook group to connect with the other amazing women in our community.